Abstract of paper presented in Prague at the 1st Object Matters-workshop, 10-13 December, 2015. Memory and its materiality is about the transformation of fragments of material culture, unpretentious things, into heritage. Materiality does not merely refer to the material properties of things, their type, shape, measurements, texture and style. It also points to their relations to people and to what they convey about the intangible aspects of culture. Common to the things studied in this sub-project is that they are decorated and bear texts and images. I draw upon the notions of resonance introduced by Stephen Greenblatt (1990) and that of affecting presence coined by Robert Armstrong (1972). Resonance suggests acoustics and the echo of a sound. Used figuratively it triggers images, memories and emotions. Further, resonance implies an interaction between different separate entities that respond to each other (Assmann, 2015). The notion of affecting presence also emphasises the power of evocation a thing has, of reaching the beholder’s feelings and understanding. Here, however, the stress is more on the reaction of the beholder to the physical, tangible material. Set in the perspectives of Fernand Braudel’s (très) longue durée and what I have described as the nomadic turn in museums (Naguib, 2007), the sub-project is structured into different temporalities spanning from antiquity to the 21st century. The nomadic turn denotes a change of orientation in the conception and elaboration of exhibitions. Multidisciplinarity, bridging between cultures, blurring the distinctions between art and non-art, design, spectacle, performance and transience are, in my view, among the main aspects of the nomadic turn that has spread since the 1990s in museums of cultural history. Moreover, there is an increase in collaborative projects trying out various forms of participation and exhibitions rely more and more on experimental mixed media. All these measures follow contemporary regimes of representation and framing strategies that prevail among museum practitioners internationally. The first moment of Memory and its Materiality is about Ancient Egypt and how it is exhibited in museums. How so-called objects of minor art are transformed into a universal heritage. I examine the methods and scopes of museums regarding their use of archaeology and cultural history as a source and a resource in exhibitions about this antique civilization. Both archaeology and museums have the materiality of things as their focal point. They share a common engagement to recover, safeguard, study and explicate the tangible and intangible heritage of humanity. The task of archaeology and museums is not only to protect the unique but also reclaim the humble things (pots, sherds, small statuettes, tablets, linen wrappings, beads) and make them into objects of memory and knowledge. The second moment of Memory and its Materiality is about the elaboration of an Islamic heritage in European museums. The term Islamic is used as a generic appellation that encompasses the diversity of Muslim communities in Europe. Here, I investigate the concept of heritage in migratory and diasporic contexts. It entails, among others, to explore polyphonic narratives of identity and to look into different systems of knowledge and skills. To do this, I examine the mixing of ancient and contemporary objects and the combination of art, decorative arts and non-art in exhibitions about Islam and Muslim diaspora in a number of European museums (Naguib, 2015). The third moment of Memory and its Materiality, is set in the very short period of the Arab Spring in Egypt (2011-2013). It probes the memory of ephemeral art and its transformation into a digital heritage kept in a virtual museum. I see the Arab Spring as a kairos; a fleeting, opportune moment in which governments were toppled and hopes for changes were high. Street art and graffiti blossomed during the uprisings. Artists expressed their activism and political protest on the walls of buildings in public spaces; they drew upon their people’s cultural memory to impart their messages. Ephemerality is a common attribute of street art and graffiti; it does not mean, however, that it has no lasting effect. A significant number of the pieces created during the uprisings have been stored digitally and circulate on the Internet and social media. The World Wide Web has become a global, interactive museum. It recalls the kind of museum that André Malraux had imagined: a museum without walls accessible to all. Armstrong, Robert P. 1972: The Affecting Presence: an Essay in Humanistic Anthropology. Urbana and Chicago: University of Illinois Press. Assmann, Aleida. 2015. Impact and Resonance – Towards a Theory of Emotions in Cultural Memory. Terje Stordalen and Saphinaz-Amal Naguib (eds.). The Formative Past and the Formation of the Future. Oslo: Novus Press, pp. 41-69. Braudel, Fernand 1958. Histoire et sciences sociales. La longue durée. Annales. Économie, Sociétés, Civilisations, 13/ 4, pp. 725-753. Greenblatt, Stephan. 1990. Resonance and Wonder. Lavine, S. and Karp, I. (eds. ), Exhibiting Cultures: The Poetics and Politics of Museum Display, Washington D.C.: Smithsonian Institution Press, pp. 42-56. Malraux, André. 1947. Le Musée imaginaire. Paris: Flammarion. -2015. Materializing Islam and the Imaginary of Sacred Space. Øyvind Fuglerud and Leon Wainwright (eds. ), Objects and Imagination; Perspectives on Materialization and Meaning. New York: Berghan, pp. 64-77. -forthcoming. 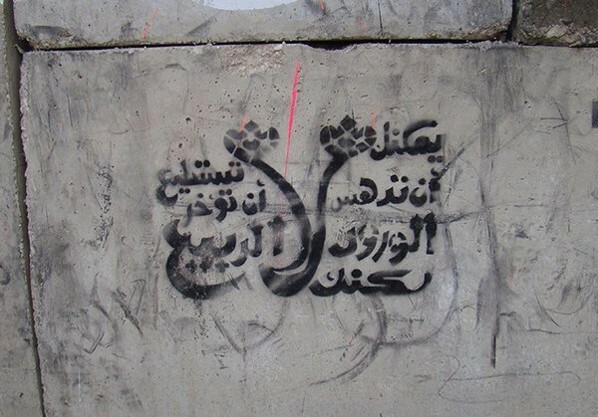 Engaged Ephemeral Art: Translation, Street Art, Graffiti and the Egyptian Spring. Transcultural Studies, Open access journal, University of Heidelberg.